I have always thought of dressing gown's as the gentleman's equivalent of a superhero's cape. It was, in fact, my (Mickey Mouse) dressing gown that I loved to wear the most when I was 6 or 7. I'd slick my hair back and wear it over my pyjamas, tied at the waist and always finished off with a cravat – I was way ahead of Chuck Bass. Over the years, I have developed a very specific (aka: expensive) taste for loungewear – fine silks and cashmeres are my personal favourites. And so I was thrilled to see Benedict Cumberbatch in his role as Sherlock wearing my favourite loungewear brand: Derek Rose. 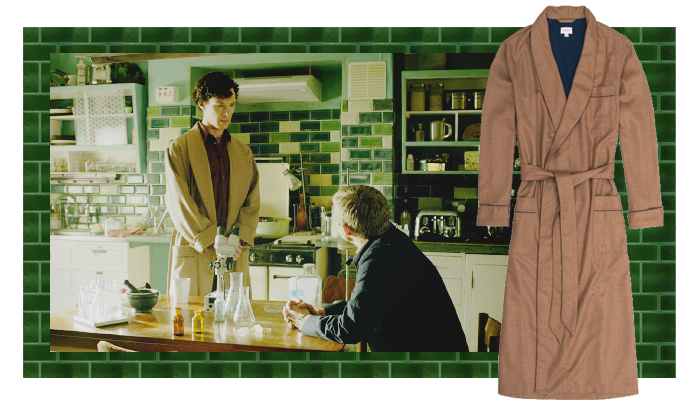 My favourite of his looks was the 'Kensington' dressing gown in camel – he's worn it in burgundy too. I do also love this other similar style in cashmere herringbone. 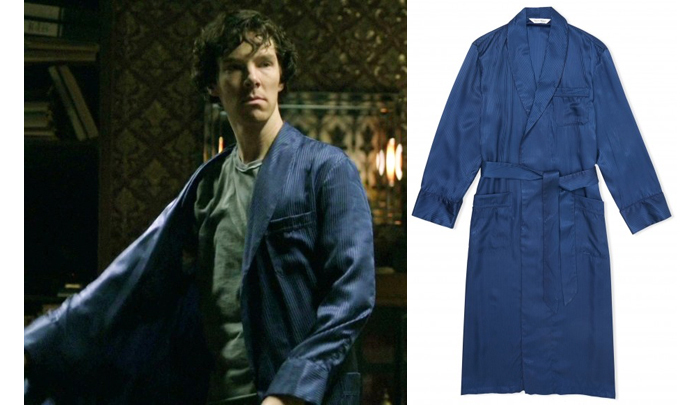 You might also remember some of his previous brilliant dressing gown moments like the one below in the navy silk Woburn style, which is available online. Shop the amazing Derek Rose lounge and underwear collection here.